Prime Minister Narendra Modi will today begin his two-nation tour starting from Israel. He is the first Indian Prime Minister to visit the state. Upon arriving in Israel, Prime Minster Modi will hold talks with his counterpart Benjamin Netanyahu in Tel Aviv on all matters of mutual interest. This year both the countries is commemorating 25 years of diplomatic relations. The Prime Minster, in his Facebook post, said both leaders will also discuss major common challenges like terrorism. During the visit, he will engage with a cross section of Israeli society. 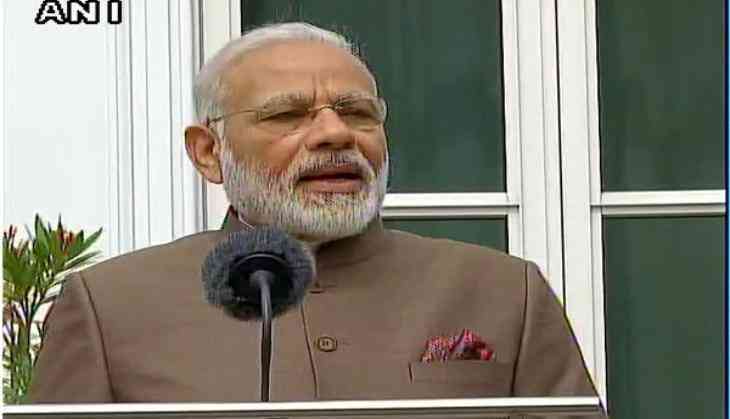 The Prime Minister said he is looking forward to interacting with the large vibrant Indian diaspora in Israel that represents an enduring link between the two countries. Prime Minister Modi will address the Indian community at an event in Tel Aviv. He will also attend a CEO forum in which CEOs of companies from both the nations will participate to discuss their shared priority of expanding the bilateral trade and investment.